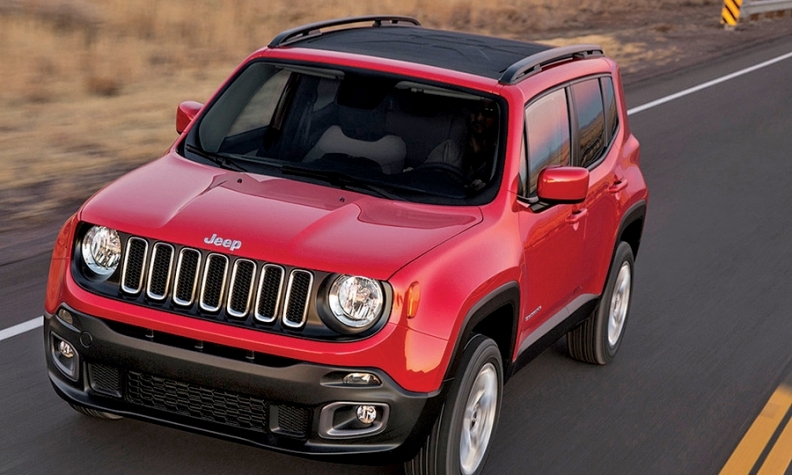 Jeep says it's aiming the Renegade, pictured, at the premium end of the subcompact SUV segment. “The most responsive and entertaining Renegades use the turbocharged 1.4-liter paired to the manual transmission. This engine might be smaller and less powerful, but it actually builds more torque than the 2.4-liter, so it's a blast to drive it hard. We were able to maintain 70 mph up a steep highway grade without downshifting from 6th gear. “Climb up into the Renegade and it feels huge. The roof is far enough overhead that you could drive in a stove-pipe hat, and you sit so low that the height-adjustable driver’s seat that's fitted to all but the base model is essential. “Our previous experiences with the Renegade were in sunny Malibu, Calif., but like ourselves, Jeep suspected that the Renegade was more likely to be pushed to the limit in the parts of North America that tend to be frozen solid during the winter months.